Are you looking for a hard working and trustworthy estate agent to sell your property? We are wholly dedicated to our clients and are able to provide a FULL and comprehensive property sales marketing service to secure a suitable buyer for your property and at the highest possible selling price. Advertising on all leading internet property portals including Rightmove, Zoopla and Primelocation, in addition to modern and traditional marketing techniques with prominent offices in Uxbridge and Ickenham, we work tirelessly to ensure our clients receive an unrivalled level of customer service while selling their most important asset. 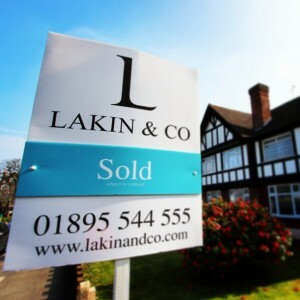 Call us today on Uxbridge 01895 544 555 – Ickenham 01895 677100 or email us at sales@lakinandco.com for a free no obligation market appraisal.